It's a sad fact that many homeowners have found that their condos and lofts are worth much less than they paid a few years ago. Many of these owners have decided to try to short sell their condo, and others have been unable to avoid foreclosure. Be aware though that buying a short-sale or bank owned condominium is very different than buying one from another individual and can take many months to close. 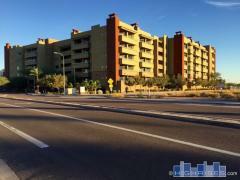 Please call us at 480-658-0500 for more information about these condos.